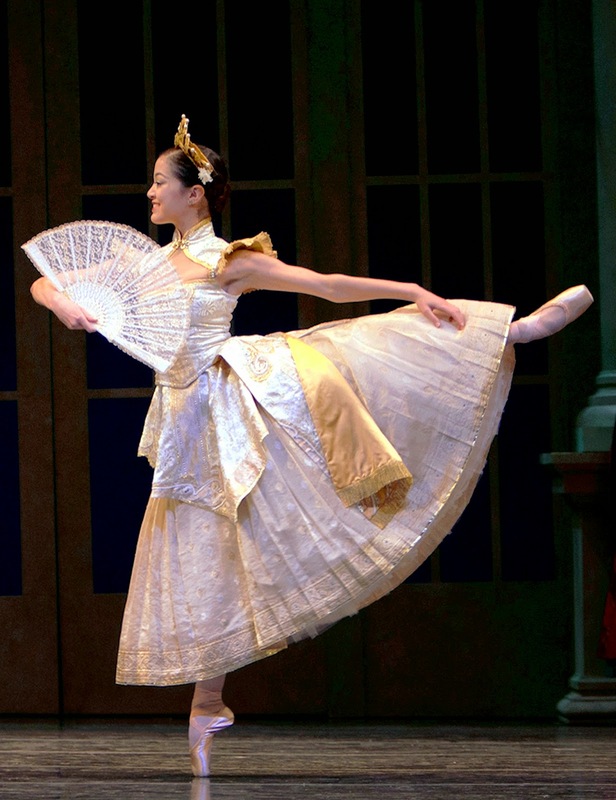 Kaori Nakamura as Kitri in Alexei Ratmansky's "Don Quixote"
One thing is constant in this world: change. As much as we'd love to stop time, it just keeps marching on. And with time's passage, we experience the inevitable: people come into our lives. And then they leave. On Sunday evening, June 8th, a packed audience in Seattle's McCaw Hall was witness to the inevitable, at Pacific Northwest Ballet's annual "Encore" performance. Officially, "Encore" is a one-off season closer, an evening of greatest hits, if you will. But it's also the ballet company's send off for departing dancers. And every so often those who are departing are also dearly beloved company members. That was the case this year-a royal farewell for veteran principal dancer Kaori Nakamura, spiced with fond farewells to PNB Executive Director D. David Brown, and corps de ballet dancers Andrew Bartee and Liora Neuville. Both Bartee and Neuville got their moment to shine for the enthusiastic audience, but the night belonged to Nakamura. More on that in a moment. Liora Neuville in Kent Stowell's "Swan Lake"
Liora Neuville is a lovely, quiet dancer. She and Benjamin Griffiths performed the Bluebird pas de deux from "Sleeping Beauty." 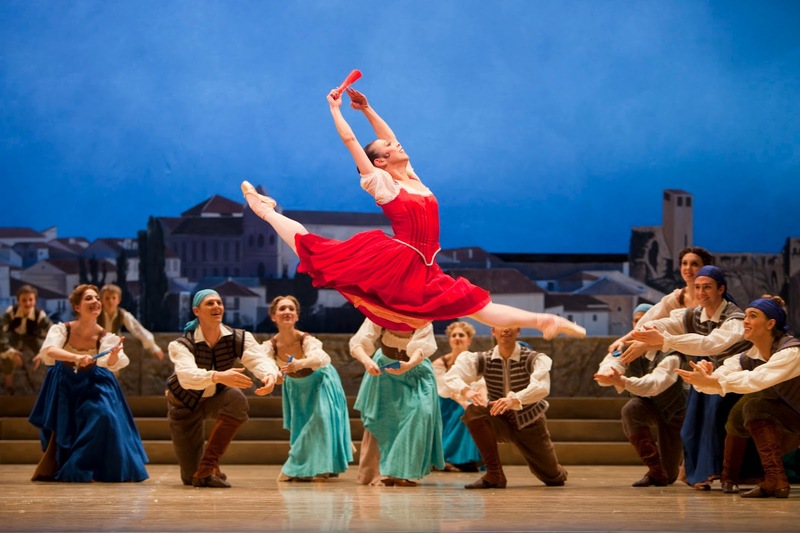 It's a show piece that mixes some dazzling footwork with delicate choreography, a delicacy that Neuville herself always exhibited. Pretty steps for a pretty woman. Neuville leaves PNB to study nursing. As Artistic Director Peter Boal quipped, that almost makes you want to get sick. Like Neuville, Andrew Bartee studied at the PNB school before he joined the company. Unlike Neuville, Bartee's neither pretty nor delicate. Instead, this lanky redhead is bold, elastic and has shone in work by contemporary choreographers, from Ulysses Dove to Twyla Tharp to, most recently, Crystal Pite, in her dance "Emergence." Bartee got a chance to reprise his solo from this large, challenging work, and it was a thrill to see him perform it once again. Bartee leaves for Ballet BC later this summer. As I've mentioned before, it's just a pleasant road trip from Seattle. I take that as a small consolation. I'm so sorry to see him leave. And then there's Kaori Nakamura. As one dance fan mentioned to me on our way out of McCaw Hall: "what a way to go!" It's the kind of graceful exit everyone should hope to emulate. Nakamura has appeared in every kind of ballet over her 17 years with PNB, but she won't hesitate to tell you her favorites are the classics: "Swan Lake," "Sleeping Beauty," "Coppelia", "Romeo and Juliette." She loves them all. And that's what we got to see in this "Encore" program, snippets from these works, culminating in the Rose Adagio from "Sleeping Beauty." And what an emotional several minutes! The stage was packed with Nakamura's long time PNB colleagues: all three ballet masters: Otto Neubert, Anne Dabrowski and Paul Gibson in period costume, plus a bevy of blue and white-clad ballerinas, including retired PNB soloist Chalnessa Eames. 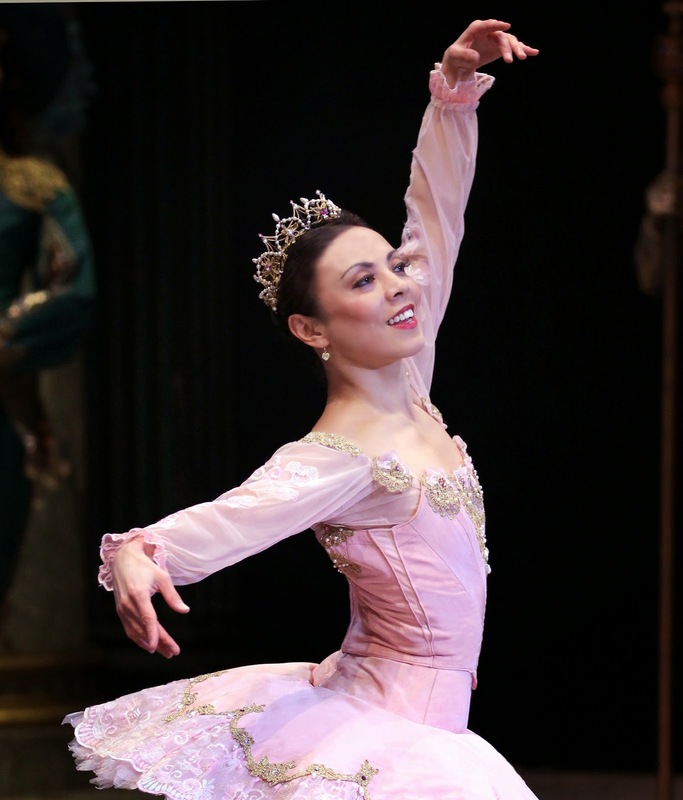 Kaori Nakamura as Princess Aurora in PNB's "Sleeping Beauty"
And then, there were Nakamura's four suitors: Batkhurel Bold, James Moore, Jonathan Porretta and Jerome Tisserand. All four have danced with Nakamura, all four seemed honored to be part of her last dance. Just remembering it makes me a little teary. In her pink tutu (something she wished for as a little girl in Gumma, Japan) and sparkling tiara, Kaori Nakamura went out in a beautiful shimmer, surrounded by loving friends an adoring audience, and a mountain of flowers. Time may pass, but if we're lucky, we hold onto our memories. Thank you Kaori Nakamura, for giving me plenty of wonderful images to hold on to.